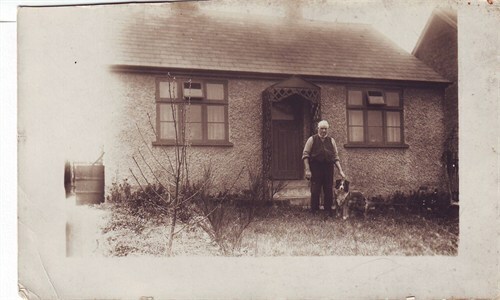 [PE] John Thurley and dog at High Easter, Essex. English Census 1911 He appeared as the Head of the Household in the 1911 English Census in Fyfield, Ongar, Essex, EnglandBG. Occupation In 1911 John Thurley was a Farm Bailiff in Ongar, Essex, EnglandBG. Milit-Svce He served in the Royal Regt of Artillery (RH & RFA) - Reg. No. 74285 from 1914 to 1920. Birth George Thurley was born about 1868 in Leaden Roothing, Essex, EnglandBG. Son He appeared as the son of James Thurley in the 1871 English Census in Roothing Beauchamp, Essex, EnglandBG. Occupation In 1881 William Thurley was a Bricklayers Labourer. [PE] Frederick Thurley (top left) with son James Thurley and his son Geoffrey John Thurley (top right). 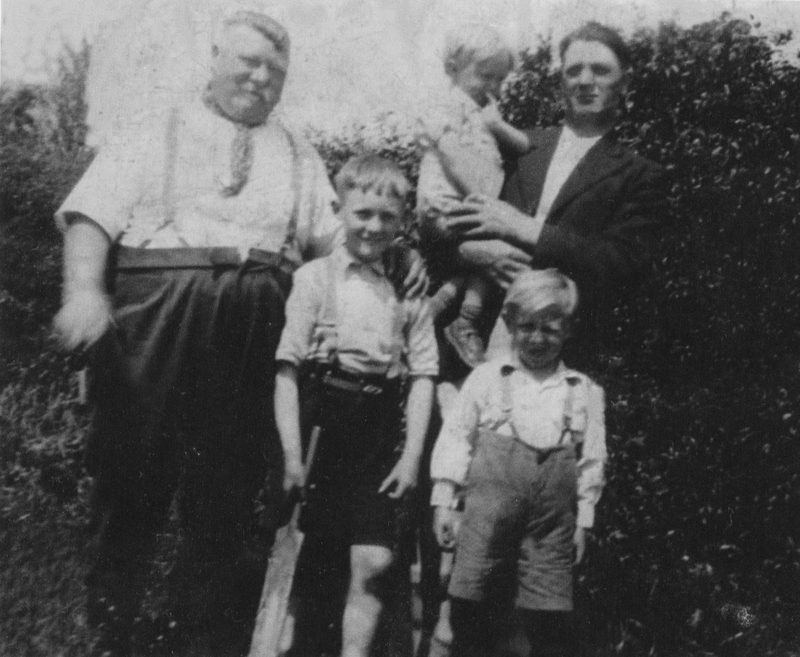 Grandson Ken Thurley (bottom left) and grandson James Harry Thurley (bottom right. English Census 1911 He appeared as the Head of the Household in the 1911 English Census in Erith, Kent, EnglandBG. 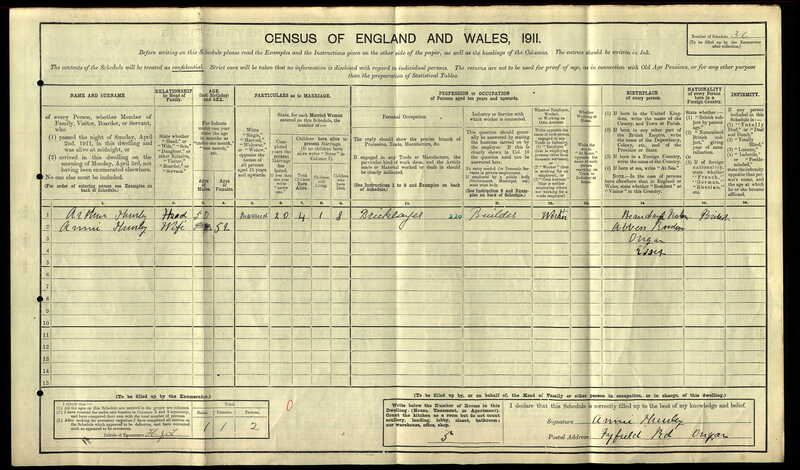 English Census 1911 He appeared as the Head of the Household in the 1911 English Census in Great Waltham, Chelmsford, Essex, EnglandBG. Member of household She appeared in the household of Frederick James Thurley in the English Census in 1911 in Great Waltham, Chelmsford, Essex, EnglandBG.